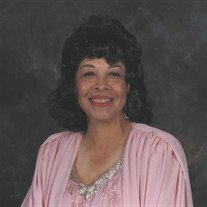 Obituary for Charlotte P. Ivey | E.F. Boyd & Son, Inc. Went home to be with the Lord on August 2, 2018. Loving mother of Timothy Ivey (Alison); sister of Marguerite Bradley and Lois Young; grandmother of Brandon and Tiffany. AKA Ivy Beyond The Wall Service 10:30am Wed. Aug. 8th at Mt. Zion Congregational Church 10723 Magnolia Dr., Cleveland, followed by a Wake at 11am and Funeral Service at 12pm. Arrangements entrusted to E. F. Boyd and Son Funeral Home 2165 East 89th St., Cleveland.